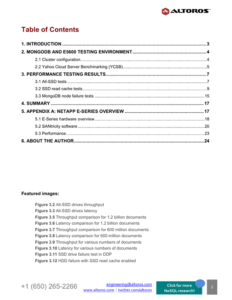 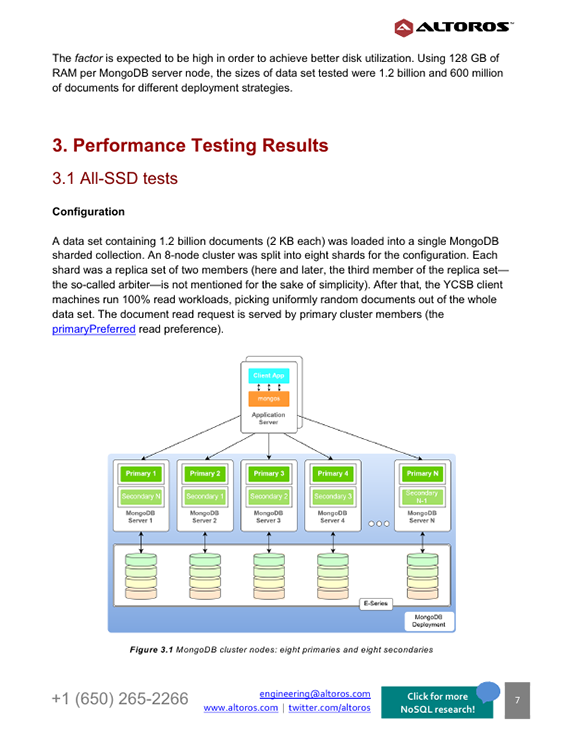 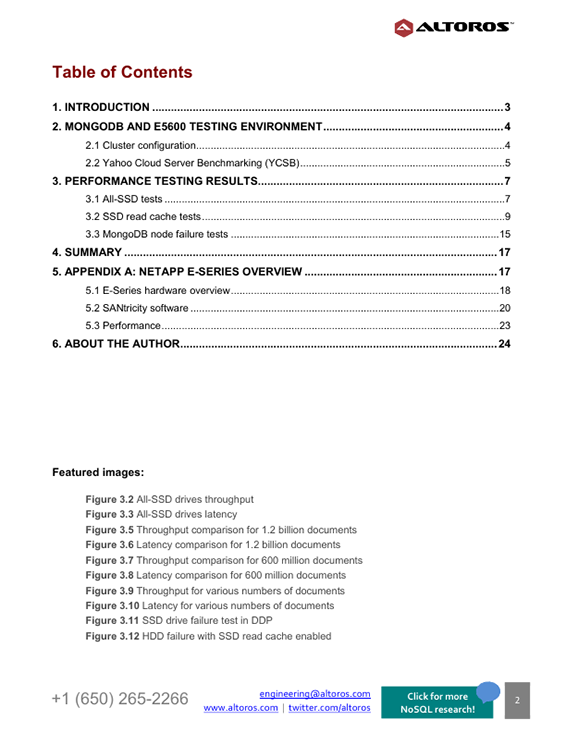 This 25-page technical report provides performance test results of a sharded MongoDB cluster under SSD cache enabled/disabled and all-SSD scenarios over NetApp E-Series data storage. 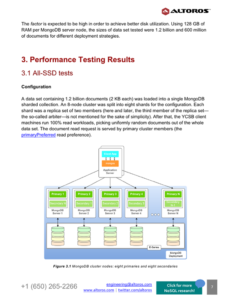 The paper also includes test results on recovery after disk failure. 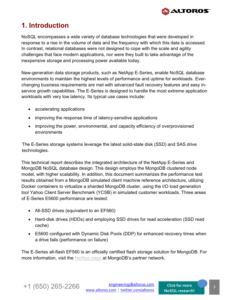 New-generation data storage products, such as NetApp E-series, enable NoSQL environments to maintain the highest levels of performance and uptime. 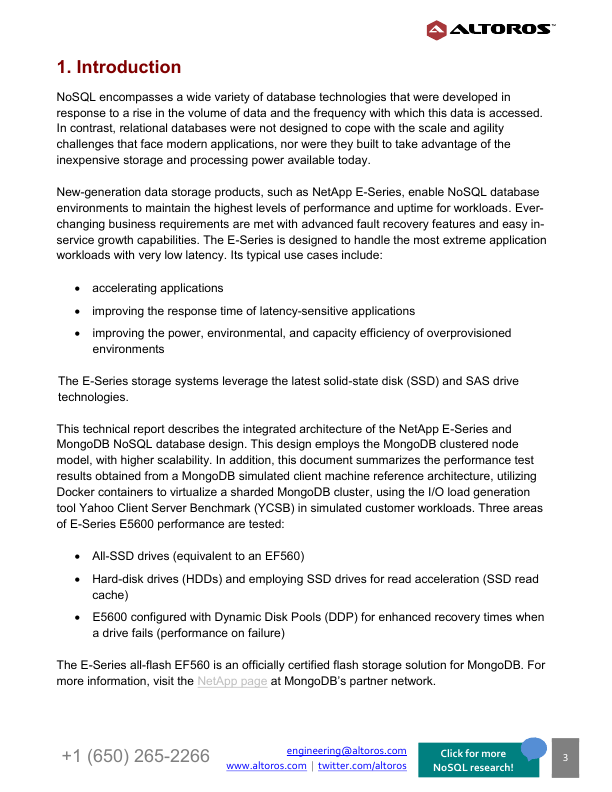 The E-Series is designed to handle the most extreme application workloads with low latencies, leveraging the solid-state disk (SSD) and SAS drive technologies.